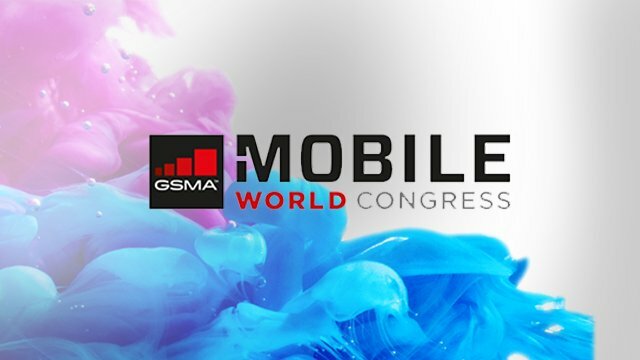 Mobile World Congress is the world’s largest gathering for the mobile industry, organized by the GSMA and held in the Mobile World Capital Barcelona. This year the event commenced on 27th February and there have already been several announcements in the run-up to the event. 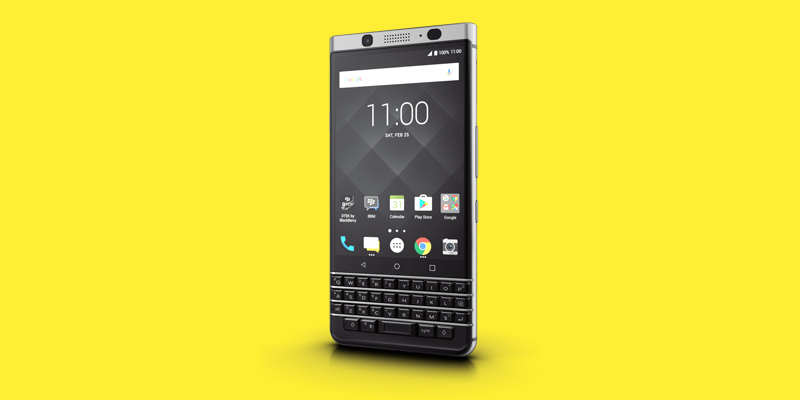 TCL and BlackBerry launched Blackberry KeyOne. The device offers a physical keyboard — a key differentiator these days — jury is still out if the throwback will gain traction. The software & security remain highlights as BlackBerry mainstays such as BBM and the BlackBerry Hub were highlighted. The KeyOne comes with the same BlackBerry DTEK software. The only drawback is the device’s price vs mid-level spec’d devices. It will be difficult for KeyOne to compete within the premium segment with no key differentiation except a physical keyboard. Huawei launched two high-end smartphones, the P10 and P10 Plus flagship phones. Both come with a Leica-branded dual-camera system that now supports portrait mode. Huawei also brings early advancements within machine learning (AI), a “behavior-based compression mechanism” which will compress the apps which subscribers do not use often. This company explains apps will load 20% faster than other phones. This is one of the most innovative features on this device. Huawei will have some AI based assistant as it did with the mate 9 and the company is in talks with Amazon to introduce Alexa on this phone. Key differentiators the company will market will be the imaging quality from the dual Leica cameras plus Leica selfie camera. Huawei continues to leverage industrial design and is introducing a broad palette of colors. Overall a very competitive phone. 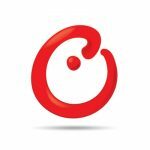 Pricing will be around $699 and up as the company will target a mix of open and carrier channels. India and US look to be misses at this point. Smartphone industry will witness an evolution as 5G enhances the speed of data transition and communication between users. Except for the infrastructures improvement made by the mobile carriers to embrace the 5G era, the commercialization of 5G will bring new applications such as improved live streaming, high-quality online video, and even new approach for online social to the industry. ZTE unveiled three smartphones. The one receiving most of the excitement was the Gigabit Phone, which runs Qualcomm’s latest Snapdragon 835. Sporting a 4×4 MIMO antenna configuration, the ZTE device will be an early smartphone capable of 1GBPS data speeds. Major carriers will be looking to seed as many GB LTE capable devices as possible prior to 5G rollout to ensure a strong fall back for the applications 5G is promising. HMD Global unveiled 3 new Nokia-branded smartphones- Nokia 3, Nokia 5, Nokia 6, which will cater to the mid-range smartphone segment. The trio is pure Android-powered and offers Android 7.1.1 Nougat straight out of the box. Mid segment pricing right away brings Nokia in competition with 80% of the active OEMs having presence in the same price segment. A lot will be riding on brand legacy & product experience which can drift it from price vs spec benchmarks. China, India, MEA, and other southeast Asia markets will be the key regions for the first round of Nokia-branded devices. 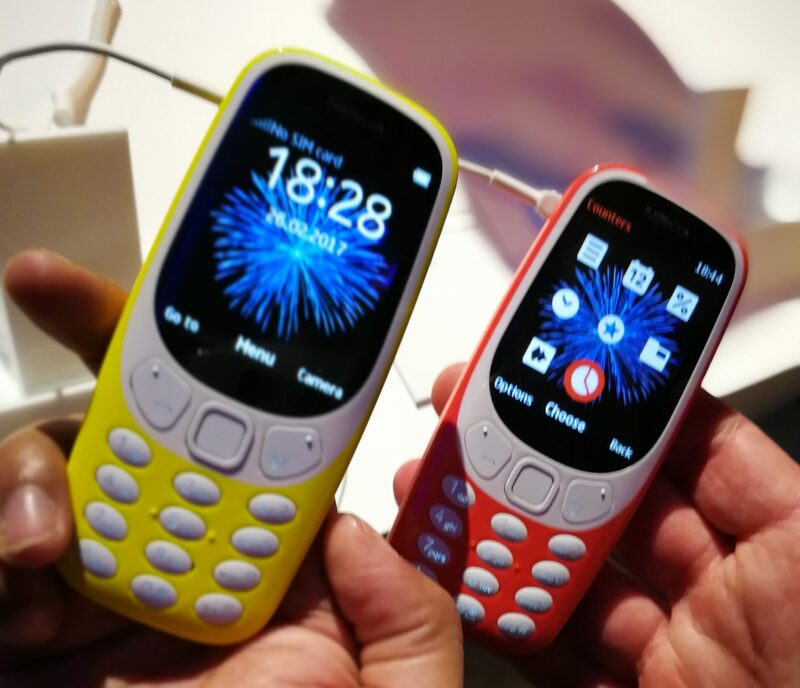 The company also announced a relaunch of the iconic 3310. Probably a bit on the costly side, but a good strategy for bringing back brand nostalgia and company brags of near-month standby times in the featurephone space. With the release of Google’s Android Wear 2.0 and its smartwatches co-designed by LG, other companies had to react. The first to do so was Huawei with the release of the Huawei Watch 2. The upgrade has been released two years after the first Huawei watch. The latest release is a bit bulkier despite getting a smaller screen size (1.2″ AMOLED) than the previous version. It carries a variety of features such as: GPS, NFC, IP68 certified, heart rate sensor, barometer, gyroscope and a geomagnetic sensor. The key spec carriers will appreciate is its standalone connect LTE. Other noteworthy additions are “Watch mode”, which extends the battery life to 25 days when most sensors are put into sleep mode outside of time & counting steps. Huawei will also market ‘wake-up modes’, a raise or turn to wake up or semi wake up the device. With some recent announcements of Android Wear hardware vendors not refreshing line-ups, such as Motorola, Android Wear has fell behind. But with new features like Android pay, on device play store, and enhanced ability to work as a standalone device, Android Wear 2.0 could be a forward step to revive the declining Android wear segment. Noteworthy is what was not announced by Samsung–a Galaxy refresh. Due to the Note 7 issues, the company is appropriately taking some more time to bake this version. Samsung did unveil the Tab S3 to directly take on Apple’s iPad pro 9.7”. The tablet is productivity focused and comes with a 9.7” Super AMOLED display, AKG speakers and its new S-pen. To take on another rival in a similar segment, Samsung also launched Galaxy Book 10 and 12. They both run on Windows 10, come equipped with stylus and keyboard, and is aimed to compete head-on with the Microsoft Surface. Samsung and Oculus also announced their new Gear VR headset. The prime focus of this announcement was the controller, which is designed specifically for one-hand use. Oculus claims that over 70 titles optimized for the new Gear VR controller are in development and all existing content should work seamlessly. VR remains limited due to many factors including the lack of content, however, Oculus remains one of the leaders. 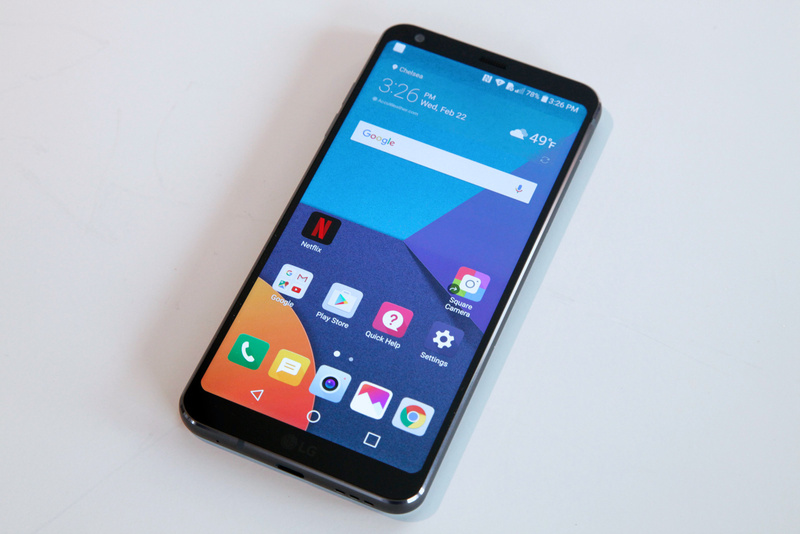 LG has refreshed its flagship G series with G6. LG attempts to get its game back on in the flagship space focusing its display and bagging the modular design. The G6 managed to fit a 5.7” QHD display with 18.9 aspect ratio on a device with size same as Google Pixel—only 72mm wide. The device will brag an 80% a high body to screen ratio. The G6 will be powered by the Snapdragon 821 and not the 835. LG probably preferred getting the device out the door in front of many Android competitors as well as potentially avoiding supply issues. With G6, LG hits all the flagship must haves and there is nothing to dislike. Strong imaging features, display aspect ratio, Google Asssistant and IP68 (lacking in G5) will be marketed as the key differentiators. For G6 to be a success, execution will be the key. A launch prior to the Galaxy S8 will be a tremendous benefit.